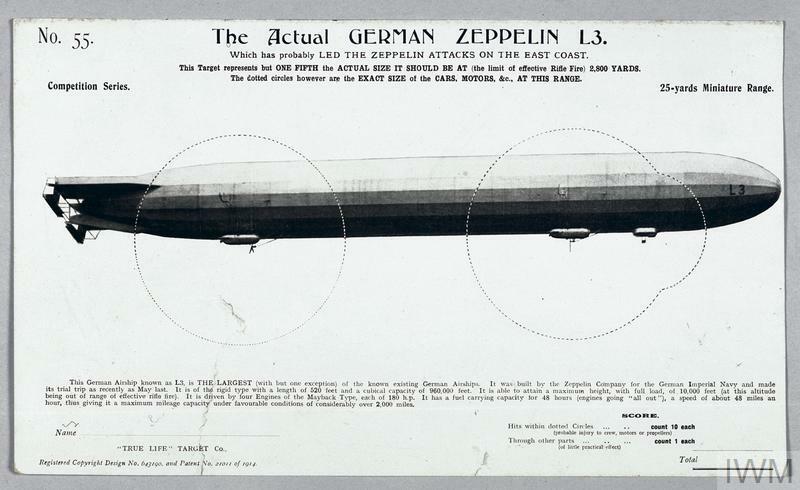 Black and white printed card target entitled "The Actual GERMAN ZEPPELIN L3." depicting a German zeppelin, the cars of which are surrounded by dotted circles. 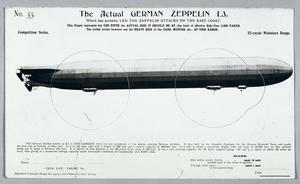 This is a card target with the image of Zeppelin L3, having the appearance of 1/5 the actual size at 2,800 yards, etc.